Go big or go home. That's the theory behind petitions presented by Conservative MPs calling for either the end of government funding for the CBC or the sale of the broadcaster. 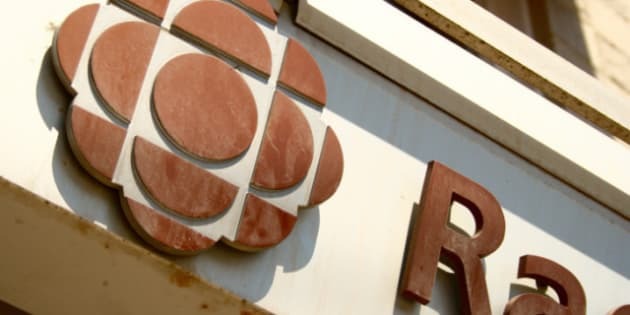 Conservative MPs Colin Carrie and Brian Jean have called for the government to stop giving public funding to the CBC, while Conservative MP Cheryl Gallant has asked for its sale, according to to iPolitics. "Government of Canada funds the Canadian Broadcasting Corporation to the sum of $1.1 billion per annum, that vast amount of Government of Canada funding gives the CBC an unfair advantage over its private sector competitor," Jean said, according to Canoe. "(We) call upon Parliament to end public funding of the Canadian Broadcasting Corporation." Meanwhile, it was revealed Monday that about 730 CBC employees are paid more than $100,000 a year. The salary info was released by Heritage Minister James Moore in response to order paper questions submitted by Conservative MP Brent Rathgeber. Under parliamentary rules, the government is obligated to give a response in the House to such requests within 45 days. Rathegeber had asked for the salary info for top CBC personalities, Peter Mansbridge and George Stroumboulopoulos, but Moore declined to provide those details, citing privacy laws. When Rathegeber initially filed his request, NDP MP Tyrone Benskin responded by filing order paper questions requesting details about the Prime Minister's Office. The questions used identical wording to Rathegeber's request so that there would be no doubt about what prompted them. However, Treasury Board President Tony Clement has refused to provide the same info regarding the PMO that Moore has released on the CBC, according to The Ottawa Citizen's Glen McGregor. Clement cited the Access to Information Act and the Privacy Act in arguing that exact salaries cannot be released. In September, HuffPost reported that the Conservative government is planning to cut 10 per cent from CBC spending. We'll have to wait until the budget to find out if the Tories will take the advice of their own MPs and cut deeper.